The half-whole diminished scale is an 8 note symmetrical scale. The scale alternates half and whole steps until the scale starts again. This is why we refer to it as a symmetrical scale, because the repeating interval pattern takes you back to the note that you started on. If you look closely you will see that the notes in each group make up 4 different diminished chords. 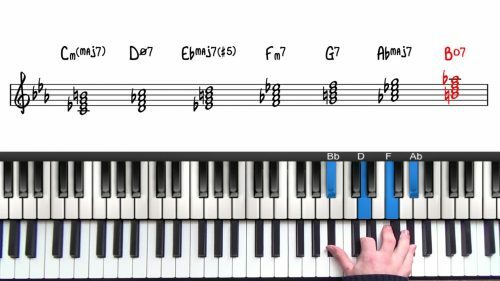 Diminished chords also have a symmetrical interval structure so Cdim7, Ebdim7, Gbdim7 and Adim7 all contain the same notes but are simply different inversions. In the context of the half-whole diminished scale, you only need to learn one scale for each of these 3 groups (each scale starts on a different note but contains the exact same notes and intervals). 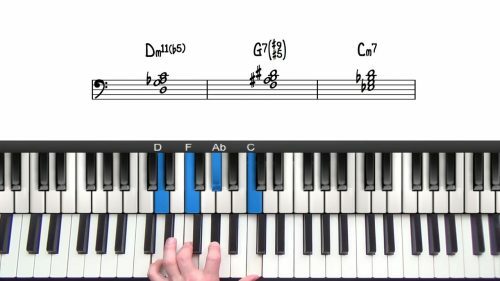 As a jazz pianist, you need to have a solid understanding of intervals so that you can build extended chords quickly and improvise freely on the piano. Firstly try to memorise the 3 groups of diminished scales. Practice playing up and down the scale tones sequentially. Next try to create patterns using different combinations of intervals. 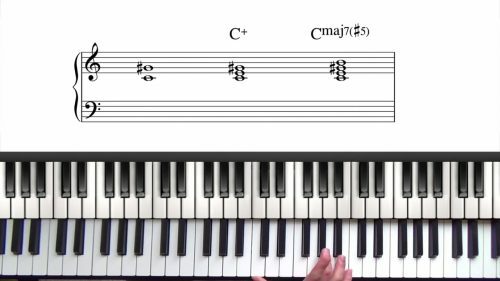 Remember that the half whole diminished scale is suited to play over altered dominant chords, and can also be used over the II-7b5 chord in a minor 251.